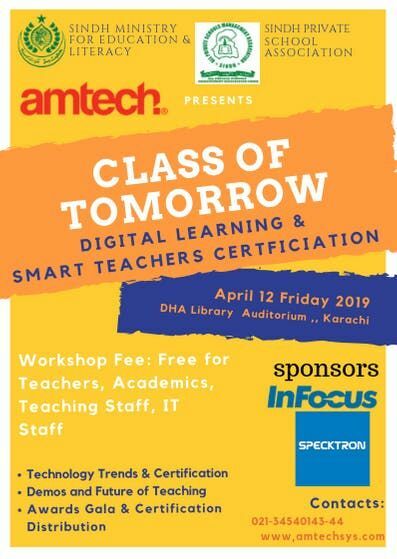 Amtech Systems one of the largest digital teaching, AV distributors is organizing one of it's kind Digital Learning, Smart Teachers Certification event titled, "Class of Tomorrow". 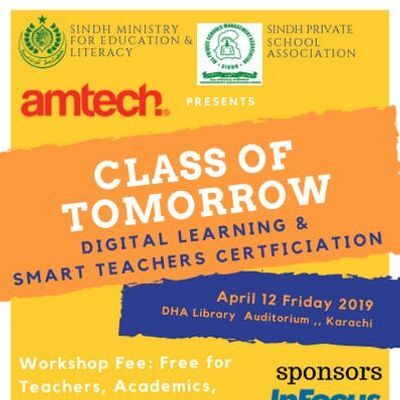 The event is one of it's kind training workshop free for educational institutions and it's staff-only which will enhance their skills for the future with topics like, digital learning platforms, new teaching techniques, smart interactive technologies etc. Discover strategies, plans and documents designed to help you deliver consistent, high-quality training and implementation workshops.